MANY READERS of TEHELKA are familiar with the story of IFS officer Sanjiv Chaturvedi (in picture). The whistleblower has been persecuted by the Haryana government since 2007 for exposing corruption and violation of laws involving Chief Minister Bhupinder Singh Hooda’s office, several ministers and a host of IFS and IAS officials. Last year, the story should have ended on a happy note for Chaturvedi and his cause. After four years of stiff resistance from Haryana, two Presidential interventions and a Ministry of Environment and Forests (MOEF) inquiry, the illegal suspension order and chargesheet slapped on him were finally revoked in January 2011. The whistleblower’s allegations were subsequently examined by the Central Vigilance Commission (CVC), which recommended a CBI investigation in December 2011 into multi-crore forest scams and violations of forest and wildlife laws in December 2011. Six months later, the story drags on. The state has successfully stonewalled the CBI probe so far. Worse, the Hooda government has now for over a month blocked Chaturvedi from leaving Haryana on a Central deputation. Repeated reminders, including telegrams, from New Delhi have failed to generate any response from the state. Chaturvedi has led an insecure life in Haryana ever since he stood up against the state machinery. After he got rid of the illegal chargesheet last January, the officer was desperate to leave the state on a Central deputation. But few ministries were ready to make room for a whistleblower. Between November 2011 and February 2012, Chaturvedi’s name figured in two separate panels for the Departments of Elementary Education and Industry. The Ministry of Human Resources Development dropped the entire panel on 15 December; the Ministry of Commerce and Industry did the same on 6 February. According to sources, Chaturvedi was then advised by his colleagues in the Department of Personnel and Training (DOPT) to first check with the minister concerned about his acceptability lest sending his name again resulted in the cancellation of the entire panel. Finally, Chaturvedi got his break last month in the Ministry of Health. On 3 May, the DOPT wrote to the MOEF to immediately relieve Chaturvedi so that he could assume charge as deputy secretary at All India Institute of Medical Sciences (AIIMS). On 7 May, the MOEF sent a telegram to Haryana Chief Secretary PK Chaudhery to release the officer. On 21 May, the ministry sent a reminder but the state maintained its silence. On 31 May, Union Health Secretary PK Pradhan wrote to Chaudhery, pointing out that “Chaturvedi has not joined as he has not been relieved by Haryana”. Explaining the urgency of the situation, Pradhan urged Chaudhery to allow the officer to take up the new assignment. Chaudhery, it is learnt, has tried to convince the chief minister several times that there was no technical ground to hold the officer back, but apparently, Hooda has been adamant. The chief minister, say sources in the CMO, is determined to go any length to “teach the officer a lesson”. While both Hooda and Chaudhery refused to respond despite repeated attempts, Haryana Forest Minister Ajay Singh Yadav told TEHELKA that “pending departmental inquiries” are the reason for not relieving Chaturvedi. So why hasn’t the state rejected the relieving request outright? “The officers should know about all this,” Yadav ducked the query. But Manik B Sonawane, financial commissioner and principal secretary (forests and wildlife), claimed that the file was with the competent authority. “I can comment on this only when the file reaches me,” he says. No, he would not name the competent authority. Clearly, the state has no ground to reject the relieving request and has decided to delay the file till Chaturvedi’s selection expires and the officer is barred from selection in the future. IT IS obvious why the Hooda government is ready to go any length to punish Chaturvedi. When his name was cleared by Presidential intervention last January, the whistleblower did not relent. Instead, he wrote to the MOEF in March 2011, seeking a CBI probe into the irregularities he had been pointing out all along. His complaints were referred to the CVC and the CBI. In December, the Hooda regime was jolted by the CVC recommendation of a CBI probe. Hooda’s clout made the green ministry dither on the CVC recommendation for two months. In February, instead of asking the state to hand over the cases to the CBI, Environment Minister Jayanthi Natarajan merely sought the state’s opinion on the CVC recommendation. When no reply was received, the MOEF asked the state on 1 March to file FIRs and entrust the matter to the CBI. Though silent, the Hooda government was not sitting idle. On 16 February, the DOPT sent a confidential note to the PMO, claiming that the Centre had no jurisdiction to intervene in violations of Central Acts in states or to protect whistleblowers even if they belong to the All India Services. On 6 March, Forest Minister Yadav produced this note in the Haryana Assembly to dismiss the MOEF inquiry as “ultra-vires” (beyond its power). Curiously, Yadav obtained the note from MM Joshi, a serving IFS officer in Haryana and a prime accused in the scams and violations, who filed an RTI application on 24 February, specifically seeking a copy of the confidential note. The DOPT took just three working days to hand Joshi the note, a third-party information, without inviting objections from Chaturvedi, which is mandatory under Section 11(1) of the RTI Act. Legal experts maintained that, prima facie, the note would not stand legal scrutiny (DOPT comes to Hooda’s rescue, 24 March, TEHELKA). After flaunting the dubious note in the Assembly, Haryana government used it in its late reply to MOEF on 7 March. The state also argued that the Central Empowered Committee (CEC) of the Supreme Court considered and laid the two cases in question to rest while disciplinary proceedings were initiated against those found guilty in the third case. On 14 March, the CVC sought an update on its recommendations from the MOEF, which in its reply dated 23 March, rejected the claims of the state, noting that “the action of the government was in the manner of regularising the violation, ex-post”. With even the PMO stepping in on 3 May to ask the MOEF for details of the action taken on its inquiry and the green ministry waiting for directions from the CVC before initiating further action, it is unlikely that the Haryana government will be able to stall the CBI probe for too long. So, a desperate state trained its guns on the whistleblower again, refusing to let him escape its jurisdiction. With the CBI investigation imminent, the Hooda government, it seems, has decided to make an example of Chaturvedi to deter future whistleblowers. If this young IFS officer’s ordeal falls off the public radar at this crucial juncture, those popular anti-corruption slogans on our crowded streets will ring shamefully hollow. Jay Mazoomdaar is an Independent Journalist. THE CENTRE has no jurisdiction to intervene in violations of Central Acts in states or to protect whistleblowers even if they belong to the All India Services. This is what MoS V Narayanasamy and his Department of Personnel and Training (DoPT) told the Prime Minister’s Office (PMO). The DoPT note issued on 16 February was cited by Haryana Forest Minister Captain Ajay Singh Yadav in the Assembly on 6 March as the sole defence against a CBI probe ordered by the Ministry of Environment and Forests (MoEF) into multicrore forestry scams and violations of forest and wildlife laws in the state. 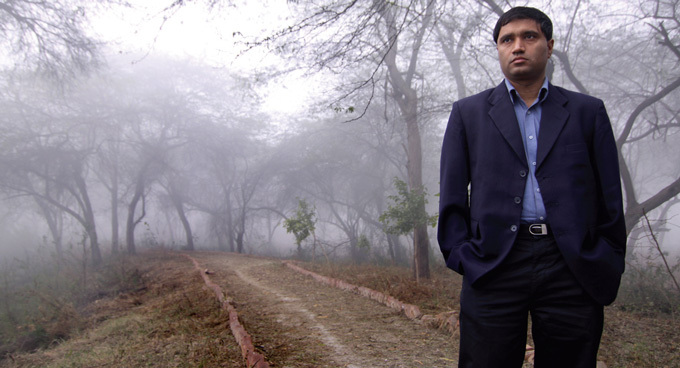 The whistleblower in question — IFS officer Sanjiv Chaturvedi — has been harassed by the Haryana government since 2007 for exposing the corruption and violations of laws that involve Chief Minister BS Hooda’s office, his ministers Kiran Chaudhary and Yadav, and a host of top IFS and IAS officials. In the face of stiff resistance from the Haryana government, it took the Centre five years, two Presidential interventions and a MoEF inquiry to revoke the illegal suspension order and chargesheet slapped on Chaturvedi by the state. The whistleblower’s claims were subsequently examined by the CVC and the CBI, which recommended a probe. 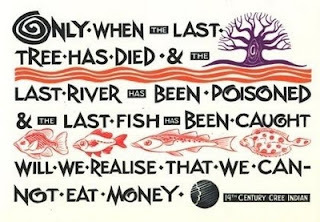 • On 6 March, the state government submits the note, obtained by Joshi in his private capacity, in the House to dismiss the MoEF inquiry as “ultra-vires” (beyond its power). There seems to be more than mere questionable legal wisdom behind the DoPT note that was leaked, found its way to the Assembly, and ended up saving the day for the Hooda government. On 7 March, when the state wrote to the MoEF arguing against the CBI probe, the DoPT note was its only defence. Forest and wildlife are on the concurrent list of the Constitution and Article 256 empowers the Centre to give directions to states for compliance of Central Acts. Also, the Central government, being the appointing authority, has overriding powers over the state governments in matters of All India Services, which is on the Union List. While Environment Minister Jayanthi Natarajan is yet to go on record, the MoEF brass, it is learnt, is livid with the DoPT note that renders the green ministry powerless. Environmental lawyers and IFS officers, such as Supreme Court advocate Sanjay Upadhyay, Project Tiger’s ex-director PK Sen and head of the IFS association AN Prasad, contacted by TEHELKA were unequivocal that mere technicalities shouldn’t come in the way of justice and, prima facie, the note was unlikely to stand legal scrutiny. So was it an oversight? Will someone be held accountable for leaking third-party information? Will the DoPT clarify that the note may not come in the way of the CBI probe that the CVC recommended? Contacted repeatedly, Narayanasamy promised to respond. He has not, yet. Once again, Haryana’s can of worms stays secure. Jay mazoomdaar is Independent Journalist.